In my experience, at least 80% of brides still choose to change their last name after getting married and are very confused about how to go about it and most don’t know where to start. 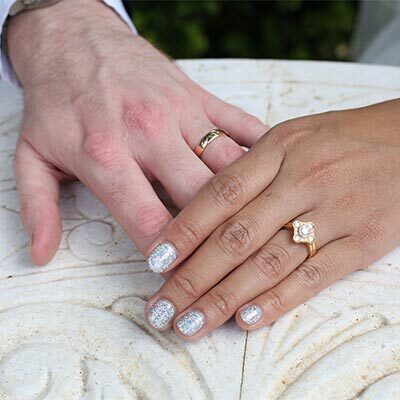 Once you’re home from your honeymoon and back into the reality of life, make time to get your Official Marriage Certificate from the Registry of Birth, Deaths and Marriages in the state in which you were married. Depending on the number of marriages the Registry is processing, your certificate may take up to four weeks to be available after your ceremony. You can start using your new surname whenever you like, and you don’t actually have to change your name on any personal records if you don’t want to, this is called ‘name by association’ and is perfectly legal. However, if you want to change your surname officially you will need your Official Marriage Certificate to prove your identification. While the process of changing your surname is not nearly as exciting as planning your wedding, it is important and one of the last tasks of your wedding journey. Good Luck! One of the important documents you and your witnesses will sign at your ceremony is the Official Certificate of Marriage. After the ceremony, I will send this and other documents to the Births, Deaths and Marriages office of the state in which you were married for registration. To apply for a copy of your Official Certificate of Marriage in the Northern Territory, contact the NT Registry of Births, Deaths and Marriages either online or in person. Apply online at the NT Registry of Births, Deaths and Marriages website. Apply in person at the offices located in Darwin, Palmerston, Alice Springs, Katherine and Tennant Creek. 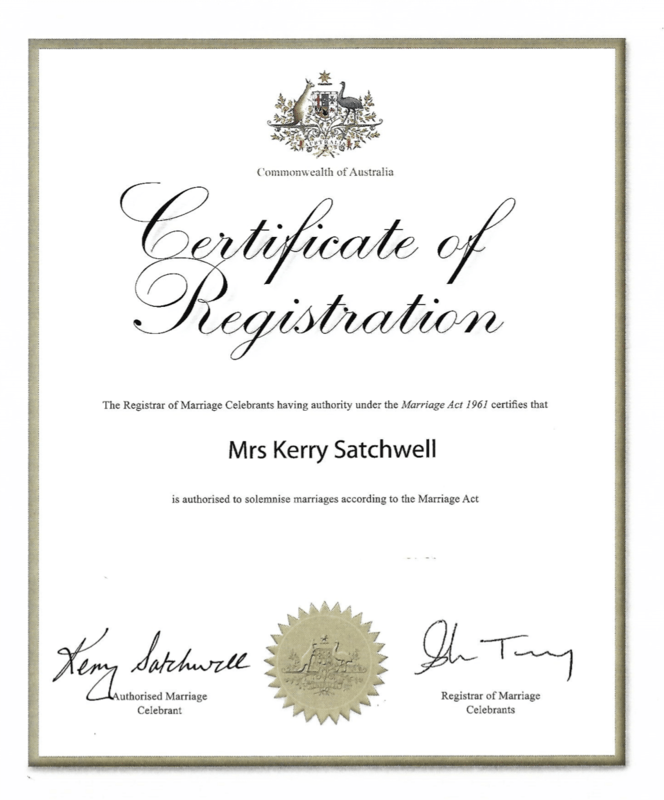 Most organisations in Australia, including the Australian Passport Office, require your Official Certificate of Marriage as proof of your marriage for legal and identification purposes. A fee of $44 is currently payable. Following your marriage, if you wish to change your surname to your partner’s name, the Official Marriage Certificate is considered sufficient identification for most organisations. If you choose to change your first name or your middle name/s, you will need to apply for an Official Change of Name Certificate from Births, Deaths and Marriages. This private company guides you through everything you need to know about name change procedures. A kit you can purchase on-line contains all the forms and ready-to-send notifications needed to change your name after marriage. Name change letters and faxes are written in your name and individually addressed to each company or government entity that you are involved with – you just need to sign and send! It is a requirement of my registration as a marriage celebrant to offer couples the option to give feedback on my services. This is also a valuable way for me to maintain high standards and continue to improve my services. I ask you to take a few moments to fill out the following questions. Be honest; your comments are important to me.